Sounds like cobblers to me although you seem to have been to heel and back today. This made me laugh so much. I just pictured you as Stephen Tomkinson in his clown shoes in Brassed Off. Last winter, I walked around for weeks wondering why my toes were so cold. I’d wear three sock layers, and still be frostbitten. 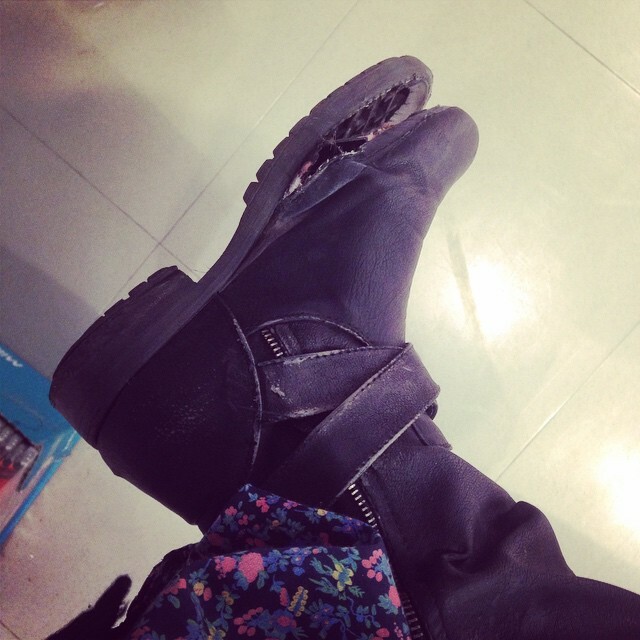 I was at the grocery store when I realized that the soles of my boots were peeling off like yours did- though not to such a dramatic extent. I felt like such an idiot. But hey. At least you got a good excuse to go shoe shopping!